One of the most popular silver bullion coins in recent years has been the Lunar Coin series from the Perth Mint. 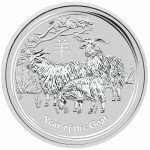 2015 is the Year of the Goat on the Chinese Zodiac, and the Perth Mint celebrates the shy and empathetic goat with a brand-new design on the 2015 1 oz Silver Australian Goat coin. 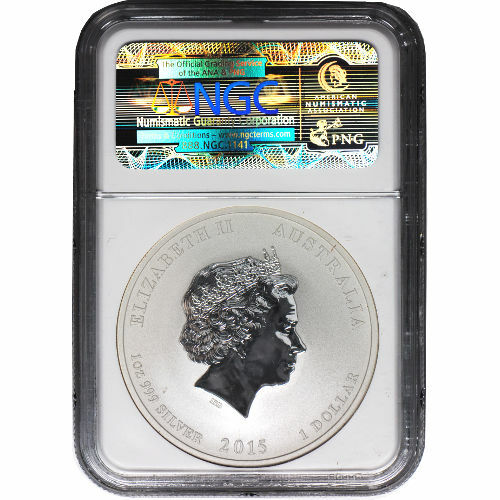 Today, you can purchase these coins from Silver.com with an MS69 grade from the Numismatic Guaranty Corporation. Additionally, each coin contains one troy ounce of 99.9% pure silver. Just 658 coins earned this certification level from the NGC! Part of the eighth annual release of Lunar Series II coins! 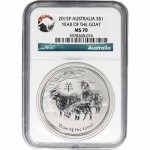 Features the unique 2015 Year of the Goat design from the Perth Mint. Considered legal tender under the Currency Act of 1965. The goat is one of the 12 animals in ancient Chinese history which accepted an invitation to meet with Buddha. In honor of the animals that accepted his invitation, Buddha assigned them a place in the Chinese Zodiac. Those born under the sign of the goat are said to be shy, empathetic, elegant, and calm. 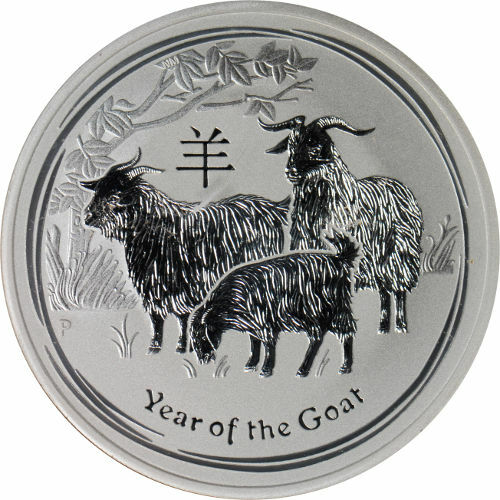 The Year of the Goat covers those born in 1919, 1931, 1943, 1955, 1967, 1979, 1991, 2003, and 2015. 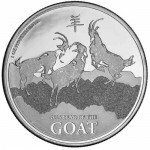 The Perth Mint’s Lunar Coin series celebrates all characters in the Zodiac, with the goat landing eighth in the series. The obverse side of the coin bears Ian Rank-Broadley’s right-profile portrait of Queen Elizabeth II. 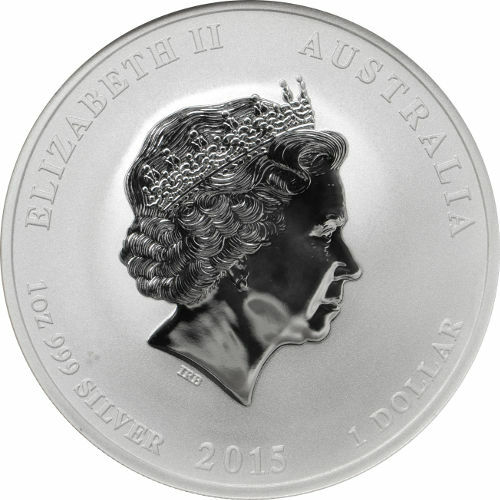 Engravings surround Her Majesty’s image, including “Elizabeth II,” “Australia,” and the weight, purity, metal content, year of minting, and face value of the coin in Australian dollars. 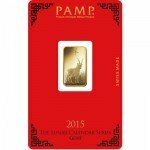 The Perth Mint is the final holdover from the Royal Mint system in Australia. The first facilities in the mint system opened in the mid-1800s, but following the closure of the Sydney and Melbourne facilities, the Perth Mint now stands as the oldest facility in Australia. 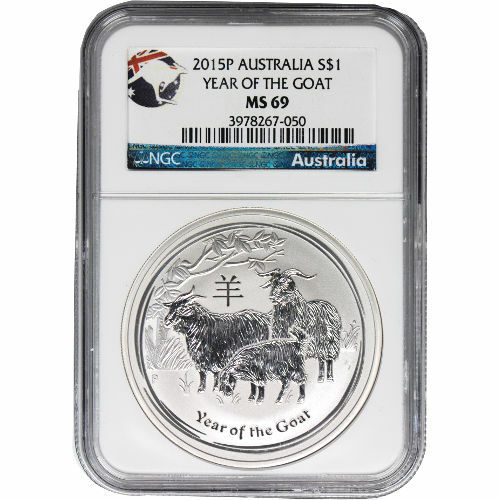 These 2015 1 oz Silver Australian Goat coins have an MS69 grade from the NGC. This grade means the coins have a sharp, attractive strike, and fewer than two blemishes. Silver.com is dedicated to customer satisfaction. If you have any questions about this coin or the online purchasing process, don’t hesitate to call our associates at 888-989-7223. You can also speak with us online through our website’s live chat feature.